My study examined the attitudes of undergraduate level nursing students toward nursing informatics. The Theory of Planned Behavior provided the theoretical framework, and Ill cover the background, purpose, hypotheses, methodology, results, discussion, conclusions, limitations, and implications and recommendations for practice and research. The flipped classroom is promoted as an approach to improve engagement and critical thinking. This poster explains the process used to transform two public health courses for a group of students following an administrative policy to shift to a flipped method. This poster illustrates 10 tips for coordinating successful service learning projects between students and non-profit organizations taken from Specialized Publications, a design course. Students spend the first half of the semester studying design principles and learning software and the second half working with an assigned client to complete print and online branding/publicity materials. The emerging 3D printing technology represents a wide access platform for students from various backgrounds to become entrepreneurs. We developed the 3D Attitudes Questionnaire, with thirty situational items, and performed exploratory reliability and factor analyses. The four identified factors were creativity, difficulty, efficacy, and entrepreneurship. Lets focus on innovative ways to leverage your learning management system (LMS) involving faculty development and committee work. We also address processes adopted by the college to implement academic initiatives. Discuss microlearning environments as a pedagogical approach to engage students in short, focused, and engaging course materials to allow them to take active part of the learning process. Microlearning refers to a technology-based learning environment designed using a series of shorts videos that makes a mini course. While instructional technology has the potential to foster student learning and engagement, it only has value if it effectively aligns with instructional needs. Pedagogy First (www.pedagogyfirst.com; a free, online, interactive decision-tree) was developed using expertise from faculty and instructional designers in response to an instructors individualized answers to a series of pedagogical, contextual, and practical questions. The need for adjunct faculty to teach in online courses is great, yet many times they lack the preparation and support to teach online. At one university, faculty developed a Faculty Learning Community (FLC) that contains resources for use of specific course technology as well as information for course management. This poster presents experience-based examples of how Padlet can be used across diverse learning environments to support assessment, project based learning, and the curating of content. Best practice strategies regarding design, implementation, and evaluation of learning outcomes are provided. In web-publishing courses, students are asked to create a website that is technically correct, visually pleasing, and informative. For instructors, creating a proper assessment instrument for these types of projects is especially challenging and few examples are discussed in the literature. This poster session describes a few practices for teaching and assessing these types of projects. This poster presents strategies for developing skills and knowledge for educators that considers what educators respond to in professional development. Among the takeaways will be how to design professional development events that build on teachers prior knowledge, promote active learning pedagogies, and allow participants to move ahead to the level of knowledge they are seeking. The GVSU Physician Assistant (PA) program expanded to rural northern Michigan to best serve the states education and health needs. The delivery of the program involves an Interactive Television (ITV) distant-learning format between the two cohorts of students: parent location in lower Michigan and distant campus in northern Michigan. 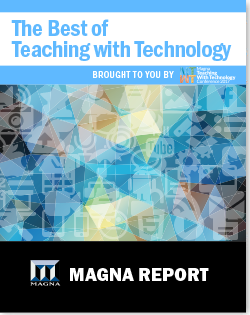 This session provides ideas for how college and university promotion and tenure portfolio frameworks can be revised into more dynamic formats that support digital teaching and scholarship. Student Moderator Online Activity: Why, What, and How! Within the online learning environment educators are charged with designing fruitful learning activities that promote a substantial knowledge base, engaged attitudes, and application skills. The activity of student moderator affords learners a lived experience to develop skills related to effective communication, collaboration, and problem-solving within the online learning environment. This study explores whether students believe that using avatars as learning assistants enhanced their learning in a graduate-level economics class. We conducted a survey to test whether the students felt that the use of avatars: (a) made the material easier to understand and less intimidating, (b) increased the students confidence to participate in class discussions, and (c) were a good use of their time. Knowing that increasing numbers of masters and doctorate programs are completely online, we developed an asynchronous course, Distance Education in Nursing Education, to better prepare doctoral level nurse educators, and exposes students to using technology, best practices in implementation of technology, and best practices when teaching in a fully online program. For the past six years, faculty and students at Black Hills State University have participated in a social media project to bring social/digital tools into the classroom for instruction and learning enhancement. Faculty attended roundtables, workshops, and tutorials that explored how to use social media effectively in the classroom. Covering information literacy concepts in a one-shot instruction session is a challenge most librarians face. To address this challenge, we developed a suite of interactive modules to leverage activity based assessment and the tracking capability of a learning management system (LMS). This poster summarizes how I used the Makerspace on my campus to support a new general education course that combined teaching about how different technologies worked with how people define art and use technology for new creative pursuits. We explore using Makerspaces for hands-on experiences with many of the technologies discussed. Teaching large classes of more than a hundred students presents instructors with an interesting challenge: How do we engage each student and personalize his or her learning experience while also keeping the grading load manageable? I believe that using technologies such as MindTap and TopHat effectively is the answer to this dilemma. We describe an elective course that uses off-the-shelf, proprietary software to simulate laboratory practical experiments that allow students to directly observe the action of representative drugs at the organ system or intact animal-level. The objective is to provide students with a first-hand opportunity to observe drug actions in classical pharmacological preparations without sacrificing laboratory animals. I created a virtual poster session assignment for an online graduate nursing education course to enhance student engagement and encourage critical thinking. Students created a professional poster to describe how educational theory could be applied to a teaching scenario and posters were uploaded to Padlet, allowing students to explore educational theory and experience creating professional posters for meaningful collaboration. This session offers a unique way to incorporate social media into the classroom. I include a description of an assignment used in an undergraduate nursing pediatric class in spring of 2016, as well as the Facebook profile, posts that were utilized, and examples of the responses generated by these posts. Digital technologies make cheating and laziness ever easier, and the search for authentic forms of assessment more challenging. The oral examination, can help in this battle. When coupled with strong assessment practices, oral exam videos can yield feedback on effective strategies for teaching oral communication and critical thinking skills. Subscribe to conference alerts and be the first to know about important updates. Thank you for staying informed!